The new film from the creators of 2016: Obama's America takes America's critics at face value and imagines a world in which she never existed. Through riveting interviews and recreations of key historical events, the film brings you face-to-face with America's most compelling contemporary critics along with the heroes who built America. 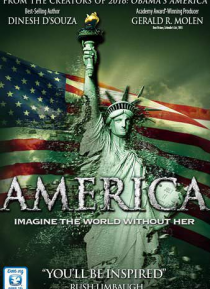 America the movie shows viewers why America the nation is mor… e important to the world than we could ever imagine.